Think of some of the most recognizable brands of this day and age: Apple. Netflix. Tesla. Amazon. Spotify. What do these companies have in common? Yes, all these companies are now worth a good sum of money, but before that, they all relied on one thing: Innovation. Not just innovation, strategic innovation. These companies and their leaders realized that they could add value to people’s lives in a new, improved and meaningful way. Are you looking for ways to establish innovative culture in the workplace? Here’s how you can shift gears toward strategic success. What business are you in? How do you bring value to the lives of your customers? What can your brand do that no other brand can? Answering these questions might take more than a few minutes. Give yourself time to think about the true mission of your organization and how it relates to your customers. Next, identify any roadblocks in your way. Do you need to hire a larger sales or marketing team in order to bolster growth? Are you harboring limiting beliefs about yourself that are preventing you from reaching your full potential? The next thing to do is realize that good ideas can come from anywhere within your organization. Foster a culture that values communication and creativity. Encourage your employees to discuss their ideas with people in other departments and at different levels of the organization. This spreading of ideas can only lead to growth. Additionally, challenge your team to think of themselves as leaders. Yes, every person at the company has leadership potential, not just the managers and executives. There are many types of leadership styles, so learn how to recognize the signs of different leaders and encourage them to find ways to share their ideas in a positive, encouraging environment. There’s no point in putting in all this work if you don’t have a powerful vision for the future of your company. It all comes back to what business you’re in. If you’re in the fitness clothing industry, you’re not just selling fitness apparel – you’re empowering others to feel their best, inside and out. You’re encouraging your customers to live a healthy life so they can go on to achieve their goals. Find the true mission of your company and keep it in the forefront of your mind, always. You’ll then be naturally inclined to strategically innovate because you’ll do whatever it takes to reach that goal. Your plan is in motion. You’re working well with your team and have an understanding of your future vision, as well as an idea of what it takes to add value to your customers’ lives. Now that you’re moving forward, don’t be afraid to check your progress along the way. Are you hitting goals you set for yourself and your team? Also, if you check your progress and realize something’s not working, or you realize a better way to achieve your goals, don’t be afraid to change course. It can be time-consuming to do so, but by pursuing strategic innovation now instead of letting opportunities pass you by later, you’ll be on track to succeed. Want to learn more about business? 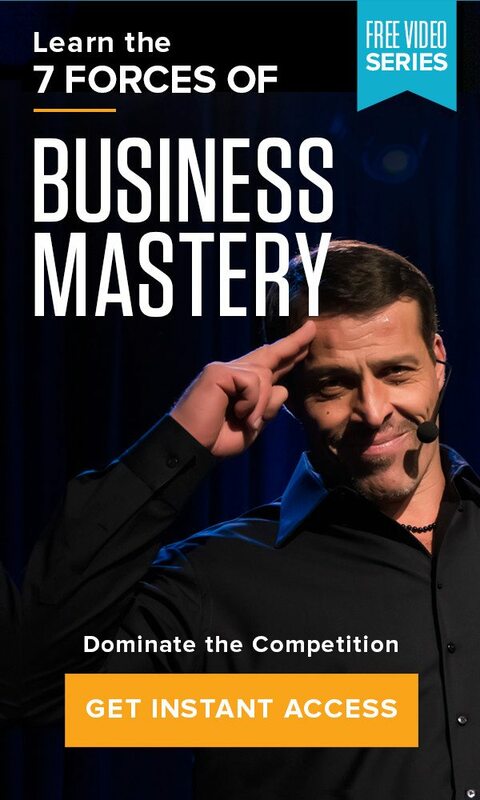 Attend Business Mastery, a five-day event hosted by Tony Robbins that delivers powerful messaging about what it takes for your brand to thrive in any market. With incredible speakers and actionable strategies, you’ll refine your skills and feel more prepared than ever to innovate.